Do a perfect trade. As traders we strive for the perfect trade, but what defines a perfect trade? Profit? Discipline? System? 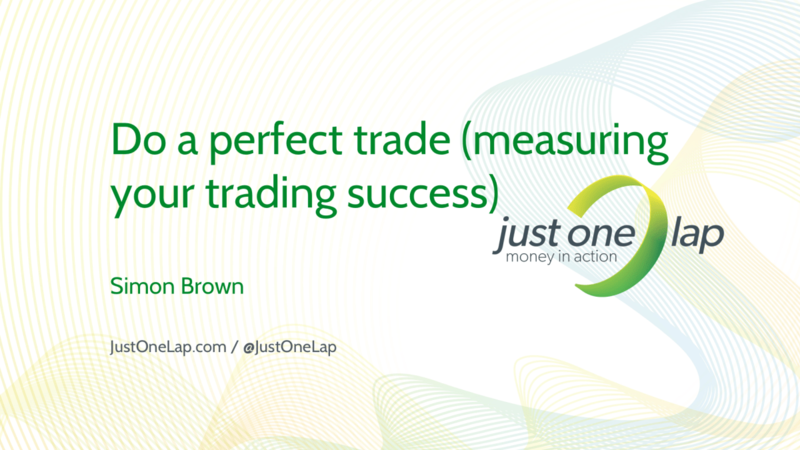 In the video Just One Lap founder Simon Brown will introduce the concept of a perfect trade including his 7-point checklist that he uses to ‘measure’ his trades. You can find the perfect trade list here and take our perfect trade challenge.